Nursing Assistants provide the bulk of the direct patient care in various health care facilities, but they have a strong presence in long-term care. They assist patients with bathing, dressing, toileting, eating, and other activities of daily living, observe patients for reactions to medications and treatments, measure vital signs, make patients’ beds and keep their rooms tidy, perform range of motion exercises, report concerns to doctors or nurses, collect specimens, and assist nurses with basic treatments. Nurse assisting gives adults the opportunity to make a difference in the lives of others, but it is also a stepping-stone to a career in nursing or another allied health profession. 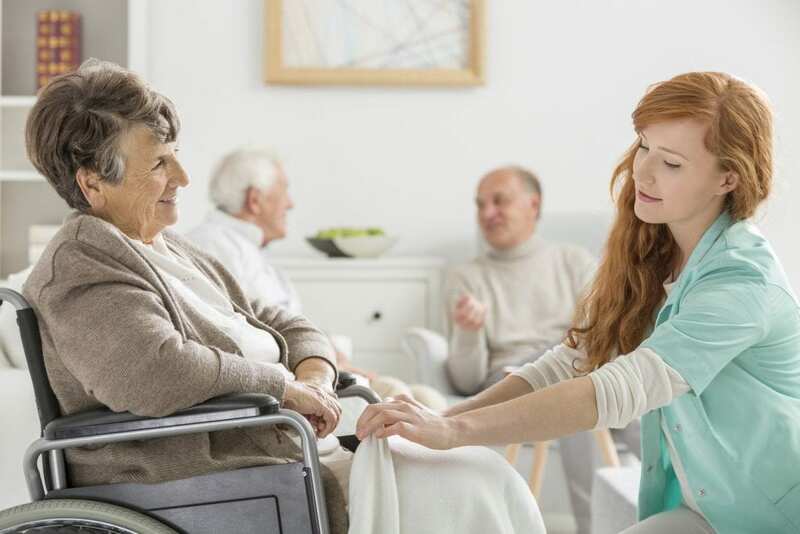 Employment of nursing aides, attendants, and orderlies is expected to increase by 17% from 2014 to 2024 due to the growing long-term care needs of the elderly population. The median annual wage for CNAs in 2016 was $26,590 according to the United States Bureau of Labor Statistics. The nursing assistant program at CALC gives students the basic educational preparation to assume the role of a nursing assistant in the State of Illinois. Graduates are eligible to take the Nurse Aide Training Competency Evaluation Program to be added to the State Nurse Aide Registry. Applicants must be 18 years or older, have a high school diploma or GED, provide documentation of a current physical, pass the standardized entrance exams, complete a 2 step TB test, and submit to a criminal background check. All students will be subject to random drug screen. A positive drug test result and certain offenses will disqualify a candidate from admission to the program. Day classes meet twice weekly. Students will also participate in a clinical experience outside of the normal class days. The entire program will span a period of 10 weeks. Course topics include anatomy and physiology, infection control, medical terminology, safety and emergency procedures, communication and interpersonal relationships, nutrition, personal care, Alzheimer’s care, and vital signs. The cost of the training is $1,500 plus $100 for registration. SWIC conducts nursing assistant training with the approval of the Illinois Department of Public Health (IDPH). The program includes lectures and practical learning experiences to prepare students for success on the written and skills components of the State’s Nurse Assistant Competency Examination. The program opens for new admission in each fall, spring, and summer semester and admits a maximum of 20 students per session. The duration of the program is 16 weeks during the fall and spring semesters. There is also an accelerated 6-week format during these semesters. The program is scheduled for 8 weeks during the summer semester. The clinical experience will be conducted at a local nursing home or hospital, and students must arrange reliable transportation to get to and from the clinical site. Areas of study include anatomy, physiology, body mechanics, personal care of patients, vital signs, medical terminology, and special treatments. Applicants must have completed a minimum 8 years of grade school or provide proof of equivalent knowledge, be effective communicators, demonstrate good physical and mental health, pass a criminal background check, complete drug testing, complete a physical exam and immunization requirements, obtain auto and health insurance, and attend a new student orientation. The total estimated cost of attendance is $1,254 and includes tuition, fees, uniform and shoes, gait belt, watch with a second hand and textbook. Highland Community College prepares nursing assistant students for a career in the high-demand field of healthcare. Students must attend all classes to meet the federal and state standards for nursing assistants. The curriculum covers 88 hours of classroom theory and 40 hours of supervised clinical experiences in a local health care facility. Students who earn a final grade of C or above in the theory and complete the clinical requirements of 40 hours will be eligible for a certificate of completion to take the Nurse Aide Training Competency Evaluation. To be admitted to the program, the applicant must be 16 years or older, have a Compass reading score of 40 or above (or the equivalent ACT score), attend a nursing assistant orientation, complete a 2-step TB test, submit to a health care worker background check, and provide documentation of influenza and hepatitis vaccination or a signed waiver. Applicants must also provide a copy of a valid social security card, and complete a urine drug screen and physical exam. The program is offered in a traditional format or a new hybrid format. The hybrid course lets students complete the majority of the assignments and evaluations online and attend classes to review the material and participate in the lab sessions. Tuition for the program is $1,128. The Nursing Assistant Certificate at Heartland Community College prepares adults to assume an entry-level position in hospitals, nursing homes and private homes. Students acquire basic knowledge and skills in nursing to care for patients in a safe and efficient manner that shows respect for their dignity. The state approved program is 8 credit hours and covers 90 hours of theory and lab on campus and 50 hours of supervised patient care in a long-term care facility. Throughout the program, students will learn how to make basic observations concerning patients’ body systems and responses to treatment, perform non-invasive procedures, and provide catheter care, collect specimens, and measure vital signs. Persons interested in enrolling in the program must show proof of high school or GED completion, submit to a criminal background check, and complete a basic skills assessment in English, math and reading comprehension. Students who complete the certificate program, pass the manual and written components of the state exam, and clear a criminal background check will be added to the Illinois Department of Public Health CNA Registry. Tuition costs $1,278 for in-district students.